Nick Fitzherbert - Presentation Skills Coach: Steve Jobs's big presentation mistake - be wary of big screens! Steve Jobs is rightly hailed as the king of business presentations, but there was one occasion when he failed badly and confessed later: "It was my worst and stupidest staging event ever". There are many reasons for Jobs's brilliant Presentation Skills, and learning from mistakes is undoubtedly one of them. The 'worst and stupidest' mistake that he admitted to occurred in 1997 when Apple controversially entered into a partnership with Microsoft, having been at war with the company for many years. Jobs had just returned to Apple and the partnership, which appeared to go against many of the company's founding principles, was now essential to its survival. Jobs therefore announced the deal at the Macworld conference with some trepidation, knowing it would need to feature an appearance by Bill Gates, Apple's very nemesis in the eyes of many staff and supporters. 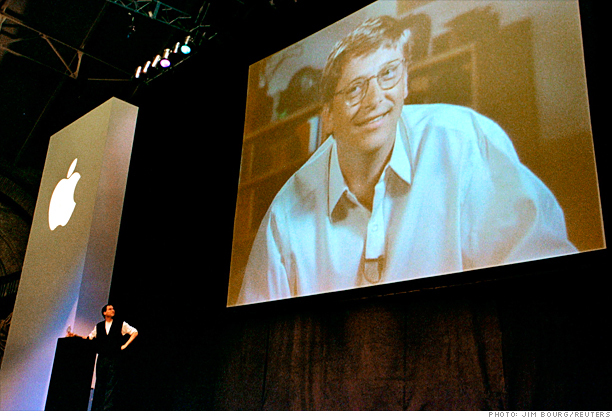 Bill Gates made that appearance by satellite on the big screen, the immediate result being that his face appeared huge, looming over the tiny figure of Steve Jobs below. As Gates began to speak he was oblivious to the boos, gasps and jeers that greeted his screen image, on which his smile could all-too-easily be interpreted as a smirk. As Jobs said: "It was bad because it made me look small and Apple look small, as if everything was in Bill's hands." 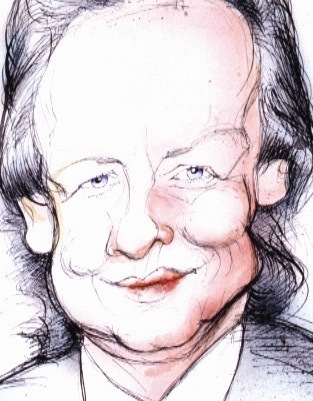 And when Gates later saw the tape of the show he was embarrassed, saying "I didn't know my face was going to be blown up to looming proportions". In this case, though, the scenario was even worse than it might have been for anyone else. As Walter Isaacson pointed out in his Steve Jobs biography, it was a brutal echo of Apple's legendary 1984 ad based on George Orwell's Big Brother concept. In Ridley Scott's much lauded commercial Big Brother was broadcasting his orders to the masses from a giant screen as an athlete representing Apple ran in, threw a hammer and smashed the screen into thousands of pieces. How many of the Macworld audience were hoping or even expecting on that day in 1997 that another athlete would come racing to the rescue with another giant hammer? I am always wary of big screens. Clearly you need a screen big enough to make your images visible and readable to everyone in the room - and there is a formula to achieving that* - but thereafter, wherever possible, you want to keep the screen in proportion with yourself, so that you remain the dominant feature and it fulfills its proper supporting role. The trouble is that screens and projectors are often selected and installed by people like office mangers and engineers rather than people who actually do any presenting. Various places I have worked have a screen and projector combination that fills the entire wall - probably because that seems neat and tidy! This is one of the reasons I carry my own equipment whenever possible, the other being that it's unwise to rely on third parties and unfamiliar equipment. So please lap up all the great things about Steve Job's presentation successes, but remember that he undoubtedly learned as much from his mistakes as he did from his triumphs. On a personal note, I am just hoping that talking about Jobs and his presentation techniques does not become too much of a cliche. Of all the business presenters I have ever seen, it was Jobs who came closest to performing like the greatest magicians, adopting many of the Rules of Magic as he went. He was a true inspiration and will continue to be so for many years to come. * The formula for ensuring you have a big enough screen is known as the 'Six Rule'. The distance from the screen to the furthest person in the room should be less that the screen width multiplied by six. So a 10 metre room needs a screen width of 1.5 metres or more.